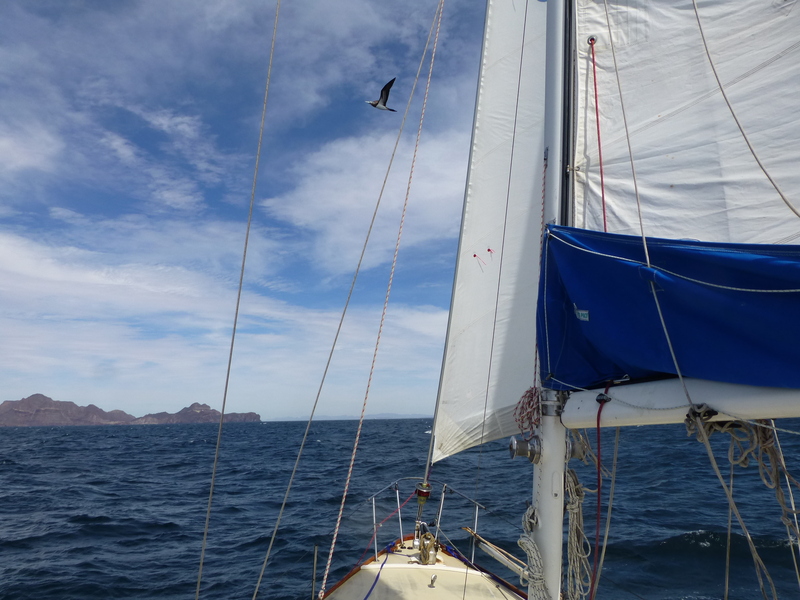 We decided to gain another 50 miles of northing today to make it much easier to sail across the Sea of Cortez to Guaymas (sailing across, instead of against, the wind.) We could have left Saturday evening and made it here easily, but our brains didn’t figure out the opportunity until 7 this (Sunday) morning. 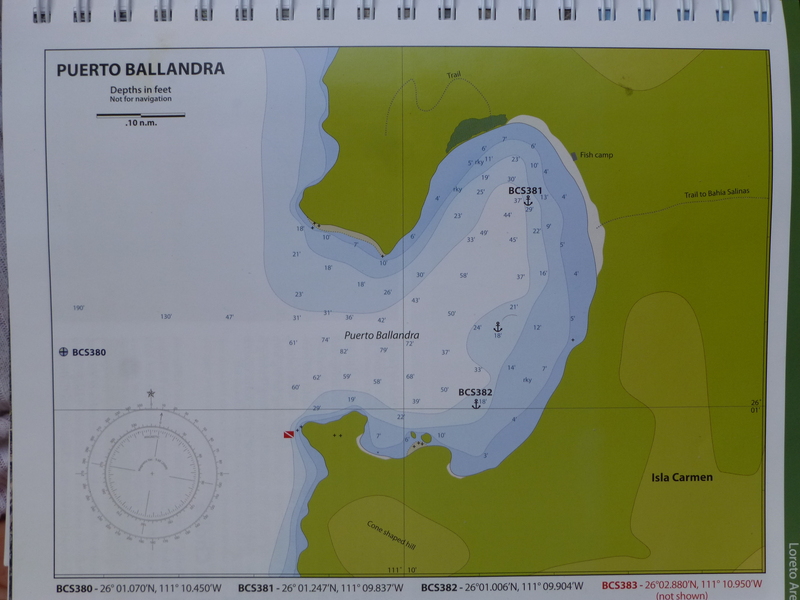 We were almost to our planned staging anchorage in Punta Pulpito when we looked at the nice sunny weather, rechecked the guide book, and pressed on. We knew there was nowhere to hide in between where we were and where we wanted to be, and we knew that there was wind coming. 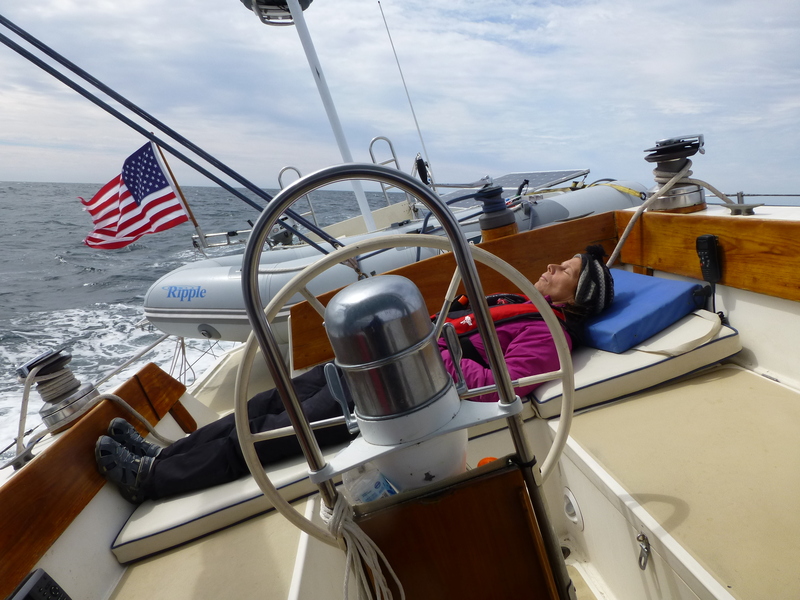 But it was a pretty day and the boat was doing fine and off we went, deciding that it was better to go to windward today and have an easier crossing later. 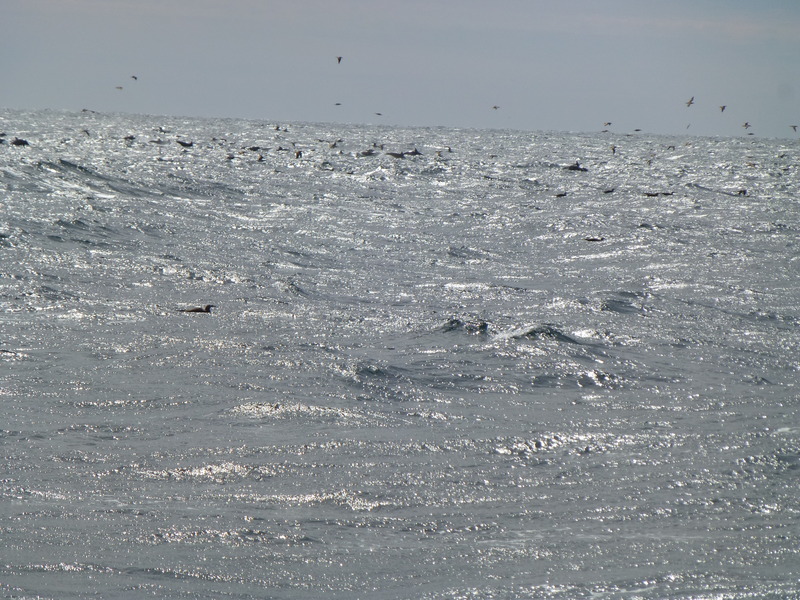 The wind showed up right on schedule, although the 15-20 knots on the nose turned into 25 knots on the nose with excursions to 30. The engineers in the audience have already identified the cubic nature of the power gain. Others may be content knowing that we expected to get beat up, but we got our asses kicked. 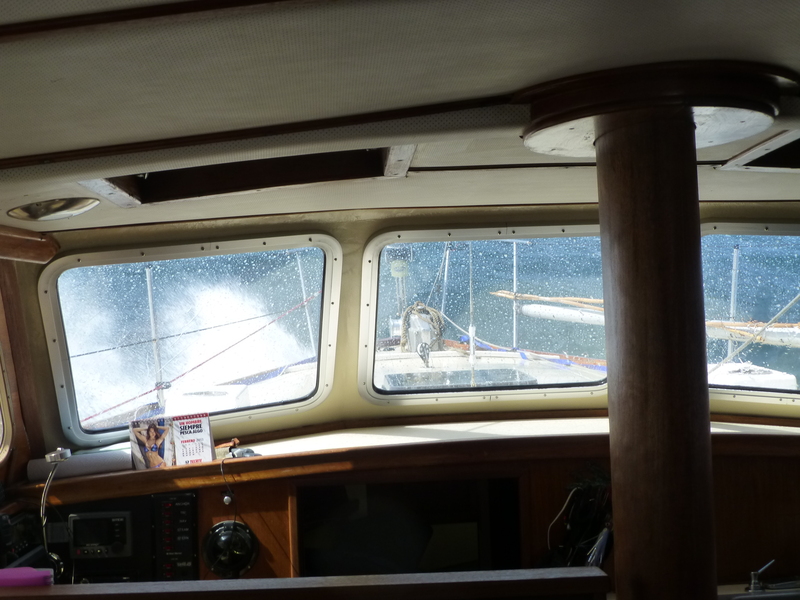 Good news: no big leaks in the windows or portlights, just a little water in the dorades, the rig didn’t fall down, and everything ran just great. So now we’re in Punta Chivato at N27 04, W111 57.8. Our Tuesday transit has maybe been blown into Wednesday, possibly Thursday, maybe Saturday or Sunday. Maybe April. This seems like a nice place, though. Too bad it’s too windy to dingy into shore. Thirty to thirty-five for the next two days. 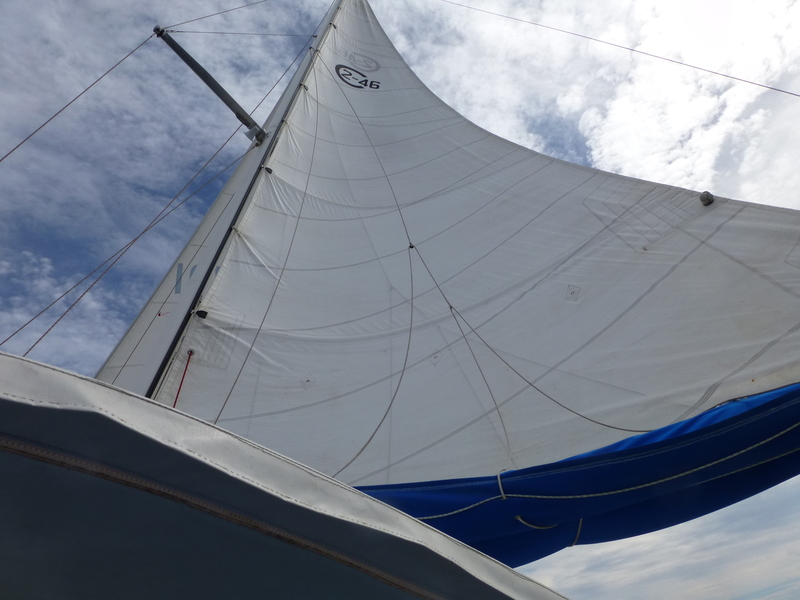 If the anchor doesn’t hold, the next post will be from La Paz again. Hatch Green chili burritos for dinner. 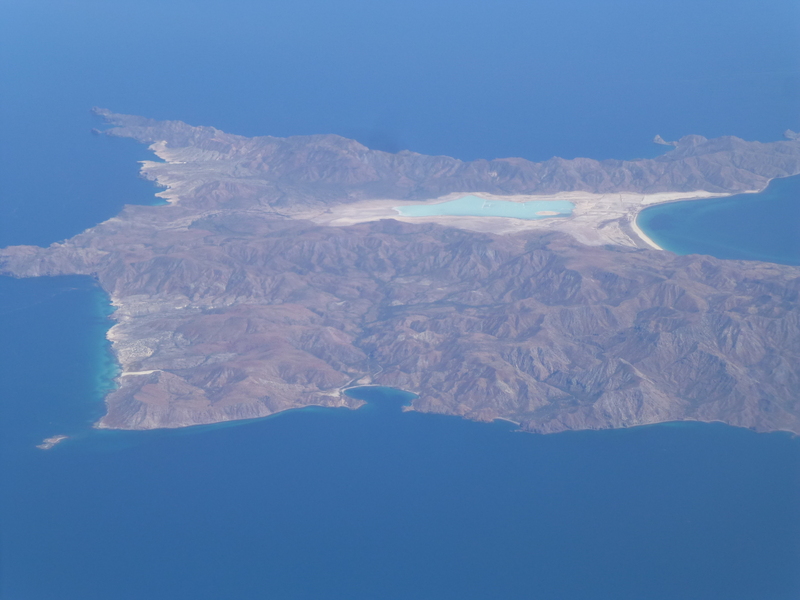 After too short a time in La Paz seeing good friends, we are in Puerto Ballandra, where we spent Thanksgiving. We like it here. It reminds us of the Georgia Straits in BC in August. 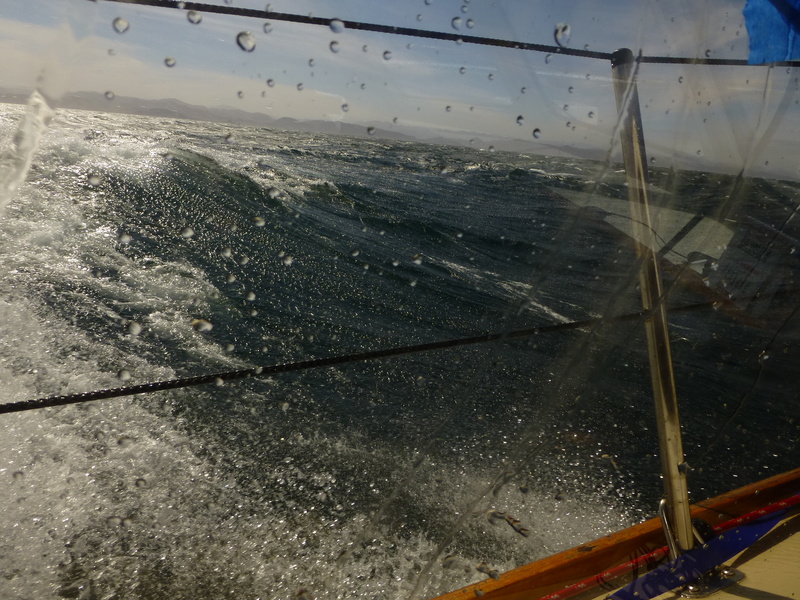 65 degree water, and 20-35 knots on the nose, whichever way you’re headed. Maybe north on Sunday, then NE on Tuesday. Dunno. N25 30 W111 01 San Marta. Windy on the nose fourteen hours. 24 33N 110 23W Rebuilt transmission. All is well. 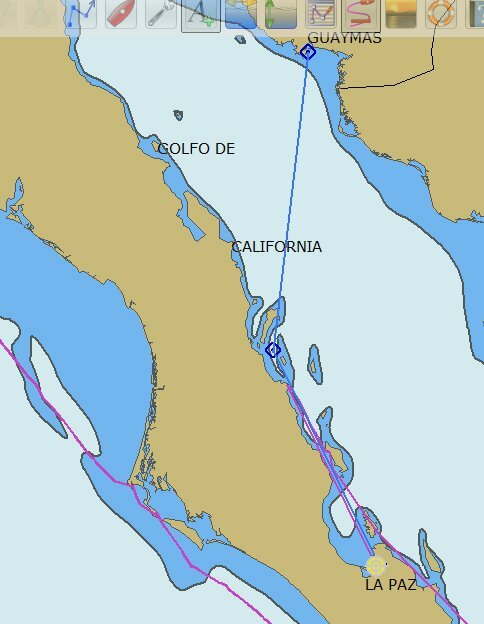 Tomorrow we fly to La Paz to get on Bright Water and sail/motor it/her to Guaymas/San Carlos where we’ll haul it/her and leave it/her on the hard for the summer. We’ve got 50# of crap/equipment we’re checking as baggage for Bright Water. Part of that stuff is our new Iridium phone. The Iridium phone works just like a cell phone, except it talks to one or more of 66 1500-pound low-earth-orbit satellites instead of cell towers. The handset is smaller than our first cell phone, too. We can also use the Iridium phone to connect our computer to the internet to get email, weather reports, and gossip. The phone will receive 160 character text messages for free and transmit them for cheap. Ask around for the text email address, we won’t put it on the web. Hopefully we’ll leave the phone on all the time, so we can receive text messages in real time. We’ll still check our regular email when we have internet access, and our cell phones will work normally when we have reception. We’ll also use the Iridium to send short position reports to the blog, with a lat/long and hopefully a place name. 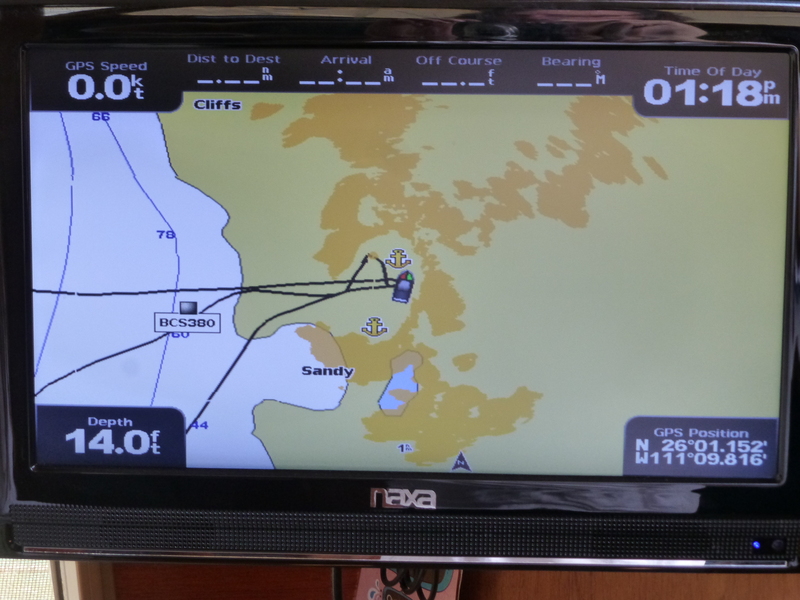 You can then cut and paste the lat/long into Google or Bing maps and it will show you where we are. 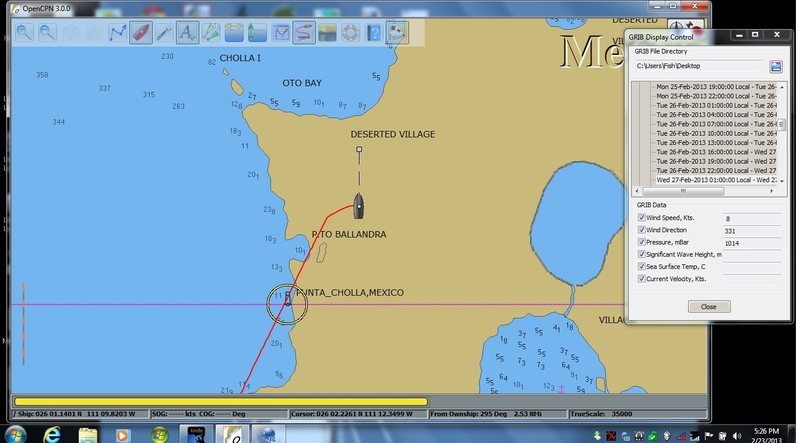 We are still using our AIS system (https://svbrightwater.wordpress.com/2012/08/22/the-mmsi-allows-dsc-and-ais/), but there are no land stations in Mexico yet so we don’t show up on www.marinetraffic.com. Once we get the boat safe on the dirt, we’ll hop on the Tufesa (http://www.tufesa.com.mx/en/index.html) executive overnight express bus to Tucson, do a little visiting, we hope, and then fly SouthWest back home where we’ll be until the Fall. With any luck at all we’ll be a little lighter and a little darker for the flight home.